Journey through the ice carved and inspiring Gap of Dunloe, following the water course, from the highest height to the deepest pool. By canyon and by kayak travel through stream, river, lake, gorge and track, using rope and trolley in places. 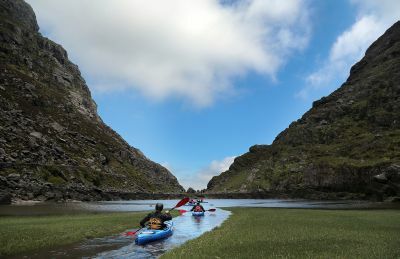 Pass through five deep black lakes and cascading water systems, as the sun sets over the Kerry mountains and darkness falls on the Gap of Dunloe. Descending a height of one hundred and fifty meters and traveling a distance of six kilometres, this incredible journey in the untamed wilds of Kerry will give you an experience never to forget! This amazingly peaceful early morning trip is spectacular; whether you experience a golden orange sunrise or a damp misty dawn. Guided by Nathan Kingerlee, this kayak tour explores a new area of Killarney National Park, taking in Muckross Lake, Old Weir Bridge, the haunted ruins of Glena Cottage and the ancient oak woods of Shehy Mountain. Climb on warm sandstone cliffs in the glaciated Gap of Dunloe, just outside Killarney. Spend a day in the company of a qualified instructor, learning climbing techniques and rope work, while savouring invigorating mountain views, challenging yourself and discovering what rock climbing in Kerry is really like! Canyon through a deep isolated mountain gorge, accessible only by the water system you travel down. This is our most thrilling and extreme adventure; and while beginner friendly, does requires a calm head and sense of adventure. Your awesome journey downstream involves a waterfall abseil into Gollum's Pool, rock jumps and plunges, rope lowers and rapid slides. With all equipment provided, including double wetsuits, you will stay warm and comfortable as you canyon down this mountain river; through a mixture of deep tranquil pools and roaring rapids. All overhung by a rainforest type roof of vibrant trees and lush vegetation, through which occasional shafts of sunlight drop. Tomas O Donoghue is a Killarney native, who lives for the great outdoors. Introduced to Kerry's mountains, lakes, rivers and coastline from a young age, he developed a strong bond to nature and all the fun that goes with it. Kayaking being his main passion, Tomas has traveled the world with his kayak, and represented Ireland at both junior and senior level in the World Freestyle Championships on separate occasions. 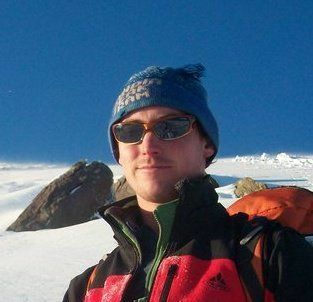 Darragh O Sullivan is an experienced outdoor pursuits instructor, and a professional personal development coach. Ideally placed to design and deliver team building programs and adventure activities, he is no stranger to running successful adventure challenges, having directed the logistics and operations for Ireland's only ever World Series Adventure Race, The Turas. Darragh has a varied background, from physics to business analysis, and has worked, travelled and studied all over the world. His calm, supportive style, along with his range of skills and experience, allow him to connect easily with people and empower them to reach their potential. Learn To Kayak White Water is a six day kayaking course on Kerry or Galway rivers. Over the six days, which will be divided into two blocks, you will learn the skills and techniques to kayak white water rivers, including river reading skills, communication and rescues. At the end of this course you will be a safe and self sufficient paddler on grade one or grade two rivers, with river reading skills and an introduction to dealing with river hazards and rescues. You will have Canoeing Ireland Level 2 Proficiency and have begun Level 3 Proficiency Training. White water kayaking is a long apprentice style journey, which generally is done under the careful supervision of a more experienced kayaking partner. Becoming safe and self sufficient at white water kayaking cannot be rushed, and while you will be a white water kayaker at the end of our intensive course; your safety will be a learning journey that will continue long after your kayaking course. 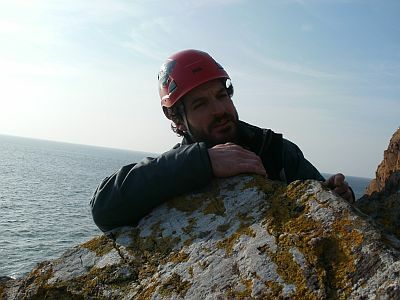 Tadhg Boyden is an extremely experienced and highly qualified instructor, specialising in a range of adventure sports, from white water kayaking, to sailing, to rock climbing. 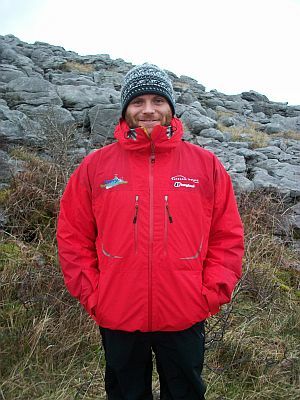 With over twelve years outdoor experience Tadhg now spends a large part of each year training outdoor instructors. When not working Tadhg can be found tackling some of Kerry's more extreme white water rivers. Improve Your Climbing is a two day climbing course, in the Gap of Dunloe and Dingle, Kerry; or the Burren, near Galway. Over the two days you will climb and abseil, focus on climbing techniques, use different methods of belaying and learn to set up a top rope climbing system. At the end of this course you will be able to tackle more challenging climbs, have a greater understanding of climbing techniques, use climbing equipment, set up a top rope climbing system and use climbing calls. 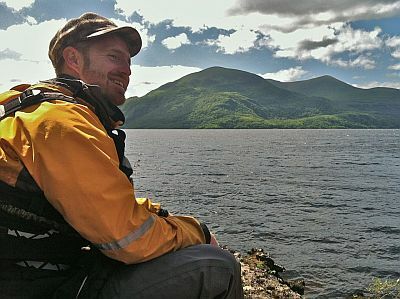 Barry Coscoran has been involved with outdoor adventure sports since 2001, having worked as a white water raft guide in Ecuador and with adventure companies throughout Ireland. Barry's passion in life is kayaking and he is most happy with a paddle in his hand; whether tackling the thrills and spills of Kerry white water or rolling Atlantic swell! Since moving to Kerry's MacGillycuddy Reeks, he has also become an enthusiastic rock climber and mountaineer. Barry is currently working on a solo sea kayak circumnavigation of Ireland, taking in 2092 kilometers of Irish coastline. Jason McGloin has been working and training in the outdoor adventure industry since 2004, having recently completed an Outdoor Education, Leisure and Geography Degree. Jason has a variety and wealth of instructional experience from several years of freelance instruction throughout Ireland. When not working Jason can be found indulging his passions; surfing, mountaineering and sailing - currently holding his Day Skipper qualification and working towards the impressive Yacht Master qualification. MJ Duhy has been working and training in the outdoor adventure industry since 2012, having graduated from the superb instructor training course at Kinsale Further Education College. MJ has a depth of outdoor experience from working throughout Ireland as a freelance instructor, plus kayaking trips abroard. When not working MJ can be found indulging in his passions of kayaking or coasteering!